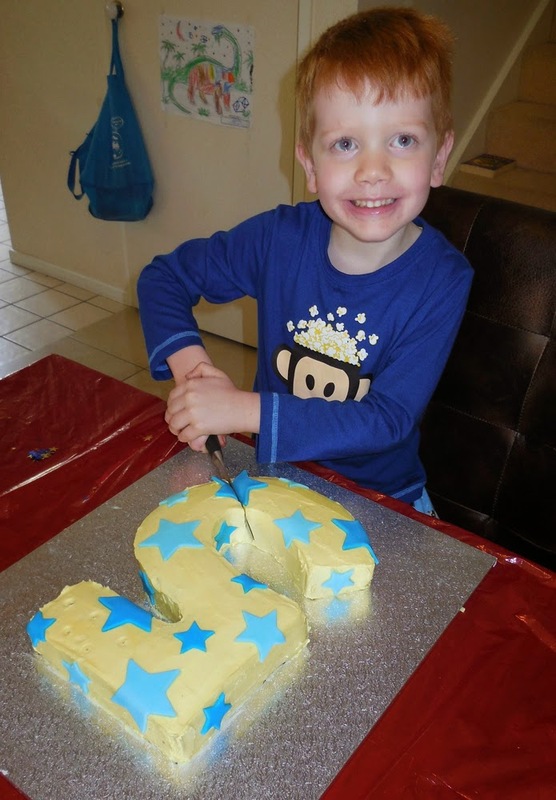 My Wholefood Family Essentials: Oscar turns 5 and a delicious dairy free number 5 cake! 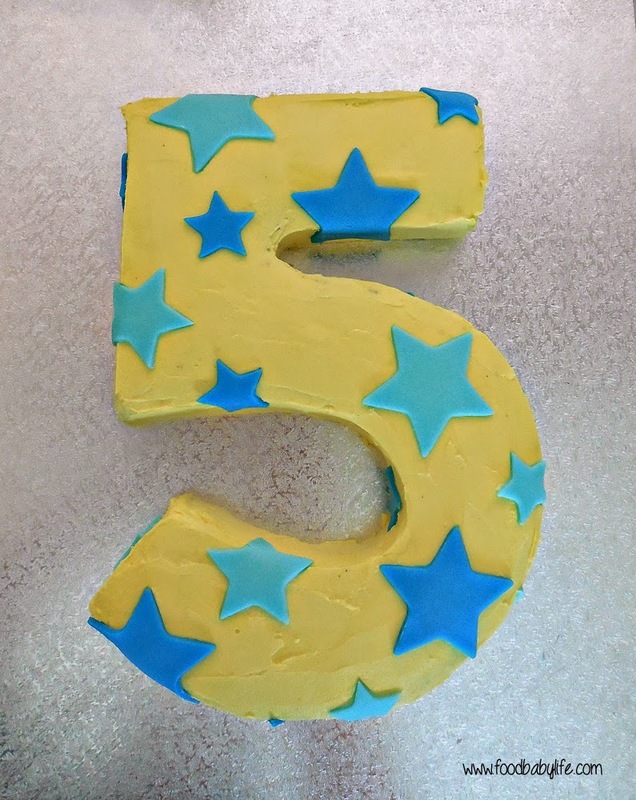 Oscar turns 5 and a delicious dairy free number 5 cake! This year Easter Sunday was extra special as it was also my Oscar's 5th birthday! Hard to believe how quickly that chubby little bundle from 5 years ago has turned into the handsome, chatty and all-around awesome 5 year old that he is today. Oscar had his heart set on a big party this year but after we realised that his birthday fell not only in the school holidays but on Easter Sunday it seemed silly to arrange a party that a lot of our friends would not be able to come to. He will get his party next year but this year was all about family and we had a really lovely day. One of our birthday traditions for the boys is that they get to choose what we have for lunch. Oscar, bless him, chose to have a simple BBQ lunch at home with sausages, marinated chicken, corn and lots of salad. Yep he really asked specifically for salad! Our other tradition is that I will make whatever cake they choose from our collection of Woman's Weekly kids' cake books. After much deliberation over the past few months Oscar chose a classic number 5 cake and even wanted the same colours they had used. I felt a little selfish but I didn't want to make a big cake that I couldn't eat so the cake had to be dairy-free. Well it took a LOT of research to find the perfect dairy-free chocolate cake that would be the right texture to carve into a number 5 shape and taste good and possibly be converted to sugar free as well. Whew. I eventually found one on The Crafting Foodie and it turned out so well we will definitely be using it again in the future. The original recipe was for a 3 layer 9 inch cake but I converted it into a sheet cake and made it sugar free by using rice malt syrup instead of sugar. I also used decaf coffee so the kids weren't bouncing off the walls! Preheat the oven to 180 degrees Celsius / 160 degrees fan-forced. Prepare a 23cm x 33cm baking pan by lining it with baking paper then greasing and flouring it. Sift the flour, cocoa, bicarb soda, baking powder and salt into a large bowl or the bowl of a stand mixer. 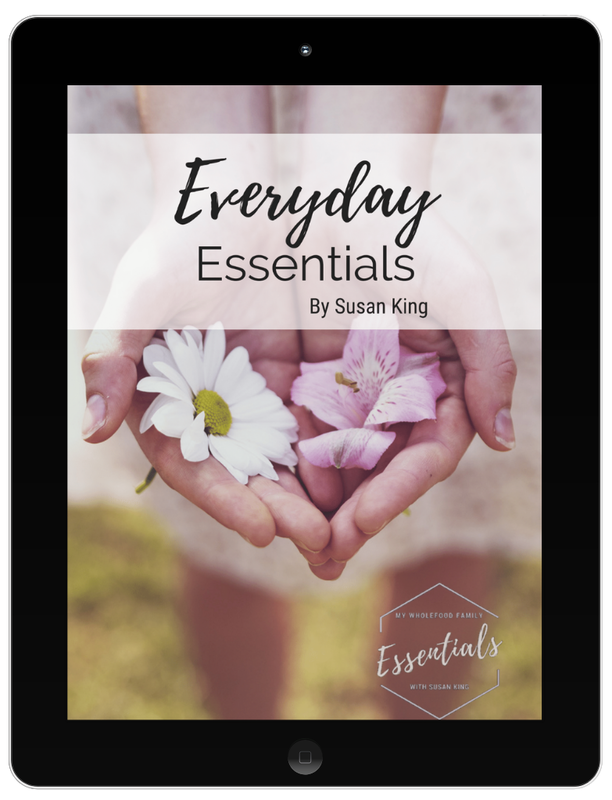 Combine the syrup, rice milk, vinegar, coffee, oil and vanilla extract in a medium bowl. Beat in the eggs. Pour the wet ingredients into the dry ingredients then mix on low speed until well combined. The batter will be very thin. Pour the batter into the prepared tin and bake for approximately 50 minutes or until the cake springs back in the middle and skewer comes out cleanly. Remove from the oven and cool on a wire rack for 20 minutes before inverting the pan to release the cake. Allow it to cool completely before icing. I also did a lot of research on icing, trying to find something healthy that would also work to decorate the cake as I intended. Unfortunately I couldn't find anything quite right and so ended up with a traditional sugar-filled icing made with Nuttelex instead of butter to keep it dairy free. The search will continue for the next birthday cake. Place the nuttelex in a food processor or stand mixed and beat until smooth and creamy. Add remaining ingedients and process until smooth and well combined, and the icing is the right consistency to cover your cake. Add a little more icing mixture if it is too runny, or a little non-dairy milk (a few teaspoons at a time) if it is too thick. This amount made enough to do a crumb coat and a top coat with only about 1/3 cup leftover. For the stars I bought a pack of white icing and just tinted them to the colours I wanted. Overall this was a really easy cake which made preparations for the day stress-free and Oscar loved it too which is the most important thing! I'm actually going to reintroduce dairy in the next few weeks to see how Noah reacts (I've only cut it out while breastfeeding) but until then it's nice to know I can still made a great cake and not feel like I'm missing out.